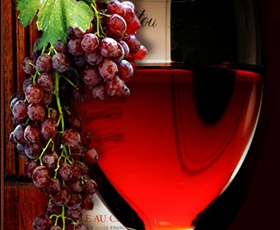 The International Wine Salon VINOSAUR 2012 is taking place for the 5th time in Banja Luka, in the Crystal Palace of Hotel Bosna on 24th and 25th May, 2012. The most important wine event in Austria – VieVinum, will be held for the eighth time from 2nd June 2012 till 4th June 2012. The event takes place every second year in the Congress Center of Vienna’s Hofburg Palace with more than 500 exhibitors from Austria and other countries. For more than 150 years, Mihajlović Cellar has been cherishing tradition of growing grapes and making wines in the village of Ržanica, in Župa region. The Mihajlović family originates from Montenegro, and they settled down in the village of Ržanica in 1834. An International Honey & Wine Fair will be held on 12th May, 2012 in Negotin. Exhibitors from Serbia, Bulgaria and Romania will gather on the town square and present their products.